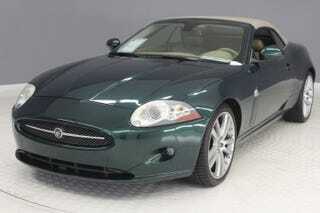 Remember the Jag XK that I tested and came close to buying three months ago, the one that the salesman insisted would “go fast”? Well I forgive you for that. Anyway, I came across the old bookmark for it, and it’s still for sale at $14,994, $3,000 less than when I was looking at it. It’s mechanically sound, but the numerous little cosmetic issues and the off-putting people at the dealership sunk it for me. Seems like I’m not the only one who thought it wasn’t attractive at that price.